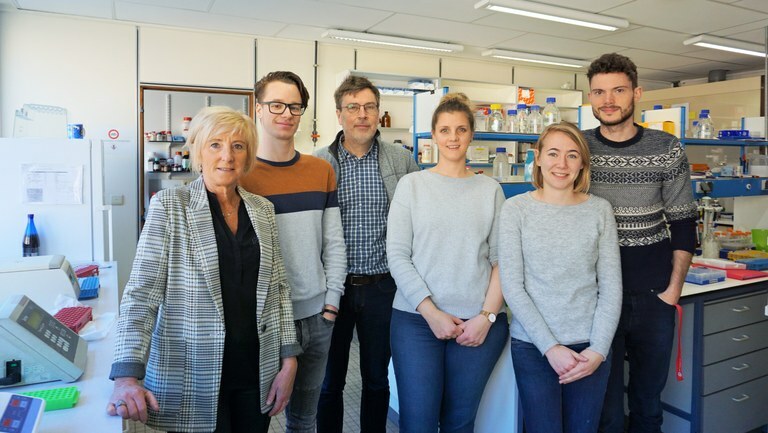 "Unravelling the role of MAGE genes using transgenic knockout mouse models"
Olivier De Backer is professor at the Faculty of Medicine of the UNamur and head of the Laboratory of Genetics, which is part of the Molecular Physiology Research Unit (URPHYM). His research explores the functions of proteins called MAGE. The genome of humans and other eutherians (placental mammals) contain several dozens of MAGE genes which evolutionary derive from the single MAGE present in the genome of the other vertebrates and of invertebrates. MAGE proteins assemble with E3 RING ubiquitin ligases and modulate their activity, regulating a myriad of processes at the cell level and physiological functions ranging from ion transport in the fetal kidney to behavioral response to cocaine. Some MAGE proteins are expressed in many adult and embryonic cell types. Others are strictly restricted to cells of the germ line in the testis but are often ectopically expressed in cancer cells where they act as oncogenes. Olivier Svensek explores the functions of MAGED2 in the cellular response to DNA damage. Axelle Nolmans investigates the role of MAGED2 in myogenic cell differentiation and muscle regeneration. Alexis Khelfi is focused on the role of the cancer/testis MAGEA proteins in DNA repair and resistance to chemotherapy and radiotherapy.